Balding, bi-locating, ninja, ratman assassin(s). I have been keen on the Skaven since I first came across them in the late 80s. Back then they were hairier, roughly Robin Williams hairy. They have become less hirsute as time has passed, having a roughly Burt Reynolds level of hair at this point. Something about the little sneaky guys was always appealing, but once the ninja elements of Clan Eshin are added to the mix, they go right up in my regard. So I was pleased to see a couple of “Deathrunner” figures in the Silver Tower box. Although the Deathrunner is not a playable character in the game, it isnt quite a direct adversary either. The Deathrunner doesnt work for the Tzeentch wizard that keeps the lights on in the tower, oh no. The Deathrunner is some sort of super badass merc working for the Skaven Council of Thirteen. 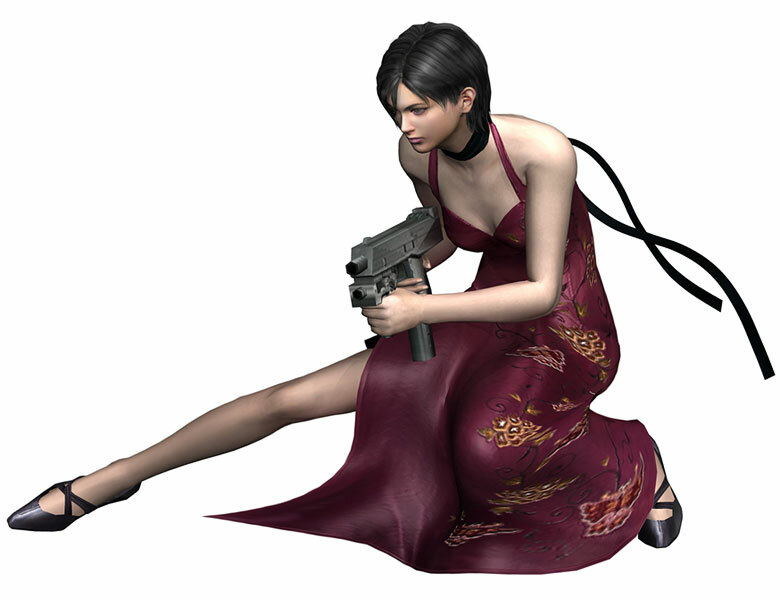 A lot like Ada Wong in the Resident Evil games. A lot like a Deathrunner. In games terms at least. Less hairy. So when the Deathrunner shows up he may immediately try to terminate one of the player characters, or he might go about his business, trying to off/steal some other thing going about its business/sitting trying not to be stolen in the Silver Tower. The thing is, there is only a single Deathrunner character in the game, despite there being two Deathrunner miniatures. Apparently that particular ratman can perform ninja mind tricks that make him appear to bi-locate, a bit like Doug Quaid did with that thing in Total Recall. I considered painting the second Deathrunner as some sort of ghost or possibly shifting from material to immaterial, but figured that it would make the model less cross compatible with any other games that I wanted to play, so I went for a close to identical scheme. The furry little guys were a lot of fun to paint. The colour scheme was chosen to allow the figures to slot in with my Shonen Knives and other ninja types too. That brings my total number of Silver Tower miniatures painted to five. Its not great, but its a start, and they are lots of fun. Wow, those skaven pop like crazy. Great paint work, the skin almost glows.The group looks impressive all together. I dialed both the shadows and the highlights back a bit more than usual on the Skaven. I often have difficulty getting convincing human skin tones on anything more than a figures face, so I was trying to be more subtle than usual. I don’t ever seem to manage subtle. It works on these guys though! Nice work. I personally would have chopped off the blade/crest on his head but overall they are pretty good models, and the paintjob is very nice indeed. In for a penny, in for a pound Warburton. I embrace the extreme nature of the design. Life is full of dull but practical things. If I want my rat ninja that is exploring a tower out of space and time to have a watermelon slicer for a helmet then by science I’m going to have it! Very nicely done mate – love the green glow on the weapons, and good call on tying them in with the SKs! I figure that I can shoehorn the contents into the SKs with a common palette. It takes the SKs a little further from their original remit, but as long as I get around to painting a lot of samurai and ninja for them as time goes by, then it will work out fine I think. The poisoned weapons were easy to achieve, but the green lifted the primarily neutrally coloured models rather well. Im glad that you liked it. Very nice, and lovely basing. I like the subtle green on the weapons, I’ll use that in the future. I am adding some of the GW Shattered Dominion bases to the project Barks, but only here and there. By adding maybe two in five and treating the top of those the same way that I would a regular base, but to a lesser extent, its keeps its all coherent, but adds some visual interest. Once the weapons were painted in metallics I glazed a portion of them with GW Waywatcher green mixed with GW Lahmian Medium. I then added a layer of dark green, followed by two edge highlights of brighter greens. I glazed over the paint and a smaller portion of the blade than before after that. Thanks for the feedback Barks! Very nice, those skaven really are characterful and although the models are full of details, the PJ is still easy to read and sharp. I would have painted the same like you did instead of opting for a ghostly version although I can see the appeal of this solution. I still have mild regrets about not painting a “phasing” Deathrunner, but as I am under time pressure I didnt want to attempt anything that might be too risky and require a repaint. It is more practical (and less exciting) this way, but at least the finished job turned out well. Thanks for the feedback A-Man! Great work on these. The blade color in particular is very good. You could always Ebay another one later for the “ghost” version. Although it is nice and I enjoyed painting it, I think that two of that particular sculpt is enough for me to paint in one lifetime. 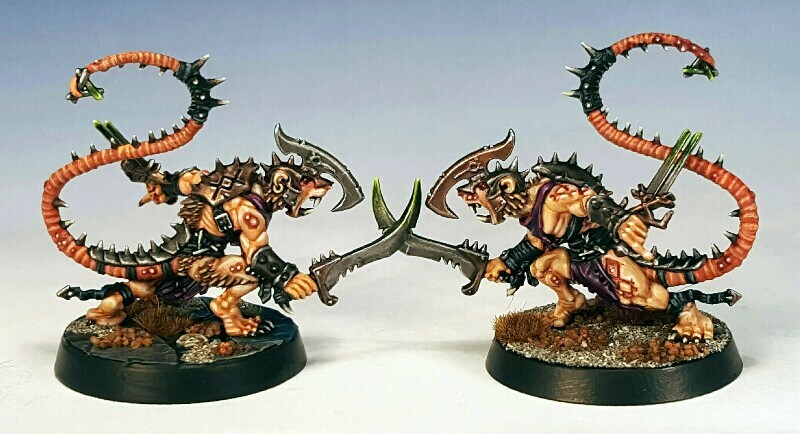 There are many other nice skaven miniatures that I could be painting instead I think. But I heartily recommend that one. Thanks for the feedback Lasgunpacker.